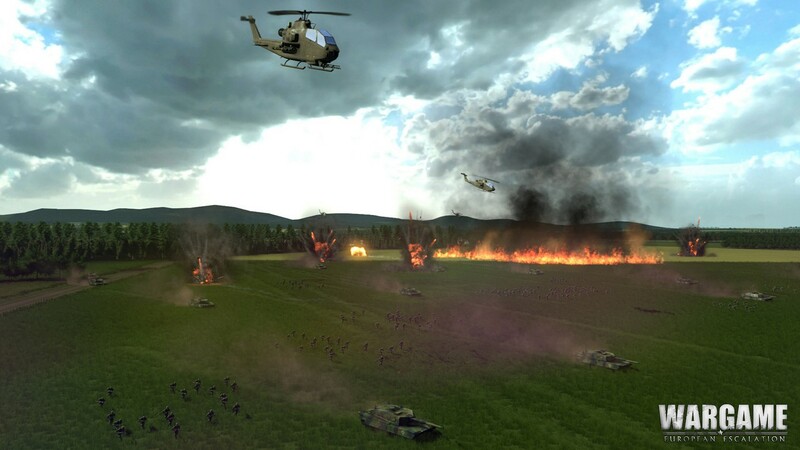 Wargame: European Escalation released on OnLive in May as a PlayPass title. The game now joined the OnLive PlayPack. It's priced at $39.99 in the US ($27.99 PlayPack), £29.99 in the UK (£20.99 PlayPack) and €39.99 in Belgium (€27.99 PlayPack). The OnLive PlayPack is now at 244 games and counting. You can play the free demo and buy Wargame: European Escalation for the US, the UK and Belgium powered by OnLive. After some dress rehearsals, OnLive the cloud gaming service, has launched in Belgium. Belgium is OnLive's first foray onto the European continent and the second country in Europe after the UK where the OnLive cloud gaming service is available. You can find OnLive Belgium at www.onlive.be, and you can view the page in Dutch at nl.onlive.be and in French at fr.onlive.be. You can sign up for free at www.onlive.be/go/signup, in Dutch at nl.onlive.be/go/signup and in French at fr.onlive.be/go/signup. 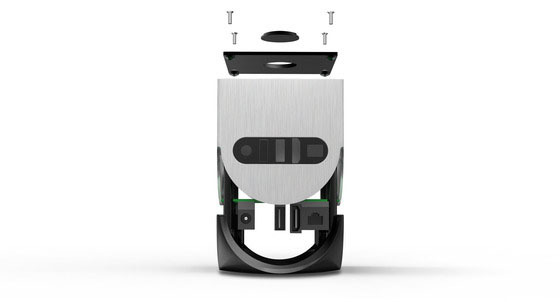 The OnLive Game Service is a groundbreaking on-demand video gaming platform that delivers the latest and most advanced games instantly over an internet connection. Users can play everything from indie puzzle games to multiplayer classics to blockbusters such as Saints Row: The Third, Pro Evolution Soccer 2012, Sid Meier’s Civilization V, Batman: Arkham City, Assassins Creed: Revelations, The Darkness II, London 2012 - The Official Video Game of the Olympic Games and soon Darksiders II on virtually any PC or Mac. Gameplay on tablets, smartphones and TVs is live in North America and the UK, and will be coming to Belgium soon. The OnLive Game System and the Universal OnLive Wireless Controller are not yet available in Belgium, but OnLive writes that they are coming soon. OnLive has created an entirely new way to play, watch, share and try premium games. Users can subscribe to the OnLive PlayPack to play an expanding selection of over 200 games as much as they like, or purchase Three-Day, Five-Day or Full PlayPasses for games in the ever-growing OnLive game library. Free 30-minute trials for almost any game enable gamers to test-drive full-featured games before buying. 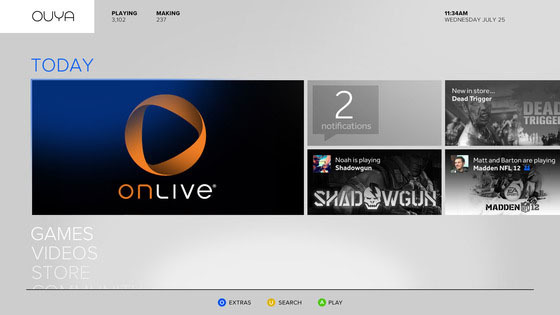 OnLive’s cloud-based platform also enables unique social features. Users can watch and voice chat with gamers across the world in the massive OnLive spectating Arena, and soon will be able to spectate three other game sessions while playing their own game with OnLive MultiView in-game live spectating. Brag Clip videos enable players to record their best gameplay moments and share them instantly with friends on the service. Players can also use Facebook notifications to post their videos on their Facebook wall, announce in-game achievements and let friends know what they are playing through simple links that instantly launch the game. 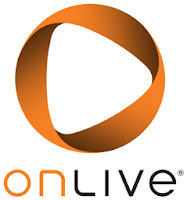 OnLive announced in May 2010 that they will come to Belgium. Belgacom, the largest broadband operator in Belgium, has made an investment in OnLive, and has partnered with them to deliver the OnLive Cloud Gaming Service to their broadband customers. Belgacom has the exclusive right to bundle the OnLive Cloud Gaming Service in Belgium and Luxembourg with their broadband services, but gamers in these countries also have the option of ordering directly from OnLive through any internet service provider. 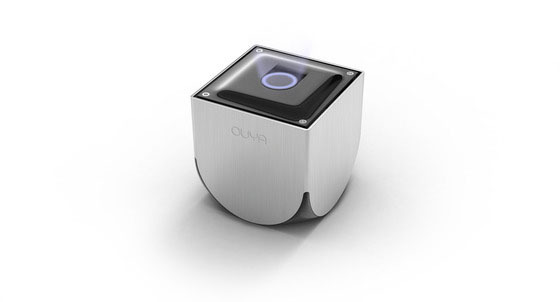 It has taken OnLive more than 2 years to launch in Belgium, since they announced their coming to the country. As the national currency of Belgium is the euro, OnLive is now supporting billing in euros. The games in OnLive's Belgium library are therefore priced in euros. Some game prices are straight number to number conversions from dollars to euros, and some prices have been adapted to the exchange rate. The game publishers choose how to convert the prices. The OnLive PlayPack in Belgium is also a straight number to number conversion from dollars to euros, as it costs €9.99/month. The OnLive PlayPack is a monthly subscription cloud gaming service from OnLive, where you pay $9.99 per month in the US, £6.99 per month in the UK and now €9.99 per month in Belgium to get access to a growing list of over 200 games. As a member of the OnLive PlayPack you also get 30% off of any OnLive game or hardware. The OnLive PlayPack features a wide range of games, including action, adventure, first person shooter, sports and puzzle games, with something for gamers of all ages, skill levels and interests. The OnLive PlayPack includes anything from AAA games like Batman: Arkham Asylum, BioShock, Borderlands, F.E.A.R. 3 PlayPack Multiplayer, Homefront Large-Scale Warfare Multiplayer, Just Cause 2, Sid Meier’s Civilization V, LEGO Batman, NBA 2K11, The Witcher, Red Faction: Armageddon, Prince of Persia to fun games like Flatout 2 and Puzzle Quest: Challenge of the Warlords, old game legends like Deus Ex and indie game hits like World of Goo. The games are in English but will soon be available in Dutch and French. To support their OnLive investment, starting today Belgacom’s internet customers can discover OnLive’s instant-play game service. Belgacom offers an exclusive one month free OnLive PlayPack subscription worth €9.99 with unlimited access to more than 200 games from more than 60 major publishers, with more games added weekly. The special OnLive PlayPack subscription offer is available through 30 September 2012 to any Belgacom internet customer, 18 years of age or over, who registers online at www.belgacom.be/onlive. One interesting tidbit is that Frozen Synapse, a game that was part of the OnLive Indie Showcase, is available to demo on the OnLive Belgium web page. The game is nowhere to be found on the other OnLive web pages. Ravaged is also available for pre-order for €19.99 (€13.99 PlayPack), which is 20% off from the full price of the game when it launches. The full launch price will be €24.99 (€17.49 PlayPack). Belgian gamers can also pre-order Darksiders II for €49.99 (€34.99 PlayPack) and get upgraded for free to the Limited Edition of the game which includes the Argul's Tomb add-on pack, which will become available one month after the Darksiders II launch in August 2012, so sometime in September of 2012. Since OnLive Belgium is now also in Dutch and French, the Netherlands and France are the next obvious targets for OnLive's European expansion. Now that OnLive has the euro billing down, I think the European expansion of OnLive will proceed swiftly, at least in the countries that have the euro. OnLive has a data center set up in Luxembourg, which will geographically and infrastructure wise be able to support OnLive cloud gaming for most of the more populated places in Europe. Of course the speed of OnLive's European expansion depends on the demand that will be placed on OnLive's servers and if there will be any problems during the expansion. 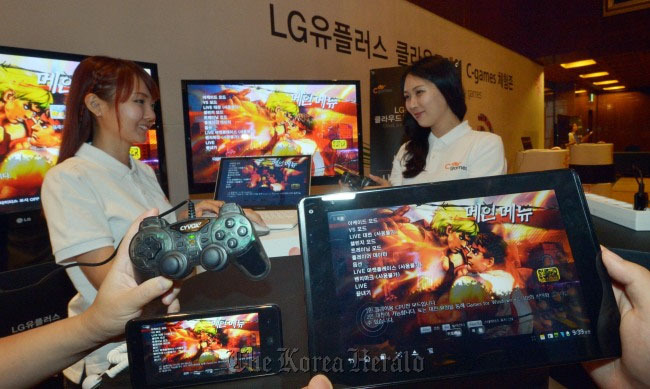 LG U+, a leading telecommunications operator in South Korea, launched a cloud gaming service named C-games in South Korea. 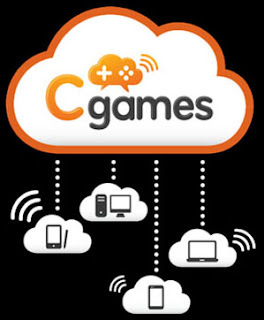 C-games is powered by Ubitus GameCloud solutions and NVIDIA's Geforce GRID cloud gaming technology. LG U+ calls C-games a N-screen cloud gaming service because LG U+ subscribers can enjoy a hassle-free cloud gaming experience with their smartphones, tablets, connected TVs, STBs or PCs anytime, anywhere over the cloud. LG U+ plans to make C-games available on Smart TVs by September this year. The platform will also be compatible with the Google Chrome browser next year, expanding beyond Windows and Internet Explorer. C-games will also be accessible on HTML5 cross-platform mobile applications. The LG U+ nationwide Long Term Evolution networks have made it possible to establish the download-free and installation-free infrastructure for users to play cloud-based streaming games that have high-definition resolution and carry a large amount of data. The company will make the platform open-source so that customers of SK Telecom and KT, South Korea’s two biggest mobile carriers, can also play the games next year. Partnered with leading game studios and OEMs around the world, Ubitus GameCloud enables LG U+ to deliver on-demand gaming services to consumers on the devices/screens they prefer. To bring more games to the C-games service, Ubitus also announced a Game Development Kit (GDK) for cloud gaming in a LG U+ business seminar which allows developers to convert their PC games into cloud-ready games within a few button clicks. Looking through the C-games games library, OnLive's games library feels outright crowded with high quality games. First there are not many games yet and the most notable games are Super Street Fighter IV: Arcade Edition, RollerCoaster Tycoon 3, King's Bounty: The Legend, Ghostbusters: The Video Game and Dark Void. LG U+ has enabled virtual touch controls for Super Street Fighter IV: Arcade Edition and other games, for instance the OnLive version of Super Street Fighter IV: Arcade Edition doesn't have virtual touch controls. Looks like C-games has at least some support from Capcom and Atari, but they have a long way to go to build up a competitive games library. Working with both domestic and foreign game developers, LG U+ plans to release up to 100 titles by the end of the year. This marks the first time for a South Korean company to venture into the cloud-based content business that aims to provide a new way to play games and replace traditional game consoles such as the PlayStation and the Xbox, LG U+ officials said. Just recently South Korean cable TV operator CJ HelloVision and cloud gaming company Playcast announced a partnership to bring cloud gaming to CJ HelloVision customers. Since South Korea has one of the best internet infrastructures in the world it's no wonder that cloud gaming competition between South Korean telecom companies is heating up. SOURCES: The Korea Herald, The Korea Times. It isn't surprising that Google is using the OnLive cloud gaming service to showcase Google Fiber speeds of 1 Gb at their Google Fiber Space showcase in Kansas City, when one considers that cloud gaming is a large bandwidth hog that requires sustained high quality internet connections and very low latencies. In the videos below you can see people playing Pro Evolution Soccer 2012, Prince of Persia: The Forgotten Sands and BioShock. The former two are great games that are PlayPass titles in OnLive's games library and the latter is a great game that is part of the OnLive PlayPack. One can clearly see the OnLive Game System below the TV, that is being used to stream OnLive games from data centers in the cloud. Adam Sawkins (DjArcas) of ProjectorGames is testing out FortressCraft on servers running in OnLive's data centers. He tweeted, "I've just been testing FortressCraft, running on the #OnLive server farm. Wow, it runs SMOOTHLY. I must try higher draw distances... :-)" He is quite enthusiastic about the game coming to OnLive and how good it runs on the OnLive servers. DjArcas also tweeted the to-do list for FortressCraft on OnLive, "I'm working on the final work-list for Onlive now. What's in, what will come in a patch, what needs fixing and polishing: docs.google.com/document/d/1AvwUVqpvJvMeSuUBXZSyjwdEL-n5QoakvlZgkjhdbcY/edit." It looks like he still has a lot of work to do before he can release the game on OnLive. Finally, DjArcas is very excited about FortressCraft coming to the OUYA Android game console via OnLive, as he tweeted, "Confirmed : FortressCraft will be coming to OUYA, via OnLive." 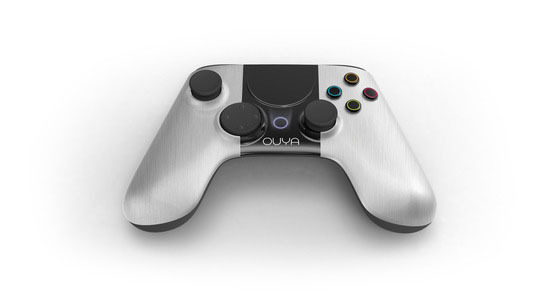 Just on Friday OnLive and OUYA announced that OnLive will come pre-installed on the OUYA Android game console when it launches in March 2013 for $99. OnLive Founder and CEO Steve Perlman had the honor of again posting on the official Google TV Blog, after he had already done it early this year. This shows the confidence that Google puts in OnLive for streaming high-end games to Google TV Smart TVs and devices, as well as Android tablets and smartphones. With Google TV, a vast world of entertainment is always at your fingertips. Movies, TV shows, YouTube channels, music, apps—through live TV or streamed to your living room. OnLive is proud to bring yet another popular form of entertainment from the internet to you: console-class gaming. From family-friendly titles like MLB 2K12 to favorites such as Batman: Arkham City, Darksiders II and more, OnLive delivers hundreds of top-tier video games from more than 80 of the world’s best publishers directly to select Google TV devices, with more devices on the way. Grab your remote, a Google TV-compatible controller or, better yet, the Universal OnLive Wireless Controller and in just a few taps, you’re gaming. Play the first 30 minutes of nearly any game free. Subscribe to the OnLive PlayPack for unlimited access to 200+ select titles, or purchase the latest hit games a la carte for play on your TV and all your favorite displays. With OnLive, you can start a game on your TV and continue playing it anywhere, on nearly any PC or Mac, Android tablet or phone. You can also take advantage of free cloud-based social features, such as watching other gamers play live in OnLive’s massive worldwide spectating Arena, voice chatting with friends and spectators, or combining everything in the forthcoming OnLive MultiView, which lets you watch and chat with three friends or teammates as you play. 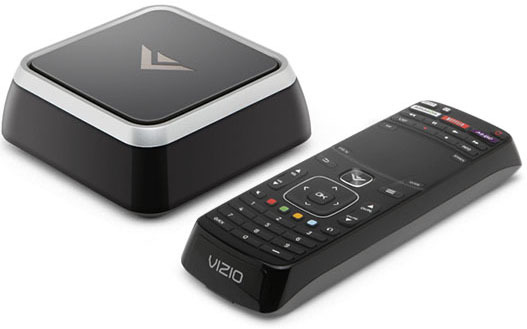 OnLive is integrated into the VIZIO Co-Star and will also be pre-installed on the LG Smart TV with Google TV (G2 Series) via a future software update. For other Google TV devices, an OnLive app is on its way to Google Play, making console-quality top-tier gaming a standard capability for any Google TV device. Just as Google TV has reimagined how people watch television, OnLive has reimagined the way people game—making playing the latest top-tier titles as simple and as instantaneous as streaming a movie. Welcome to the future of video games.